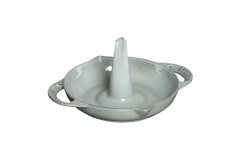 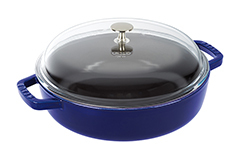 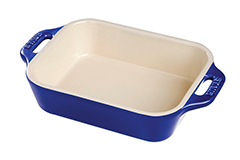 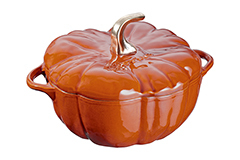 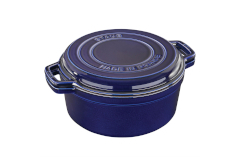 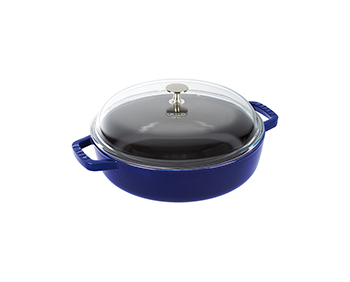 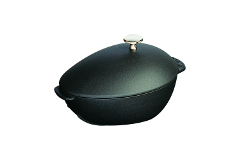 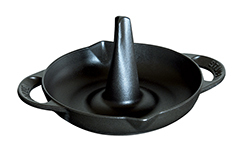 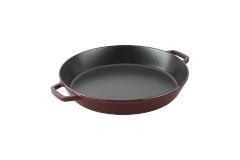 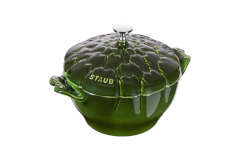 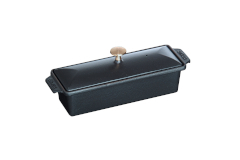 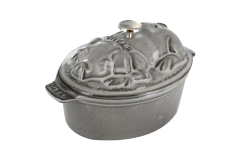 Staub now has a variety of useful and beautiful specialty enameled cast iron cookware pieces. 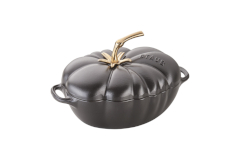 Our favorites are the tomato and pumpkin. 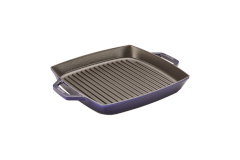 And, the steam grill is another favorite. 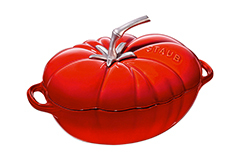 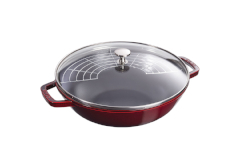 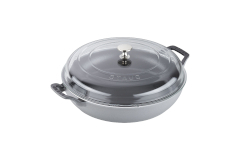 Staub French-made cookware is designed for low heat cooking. 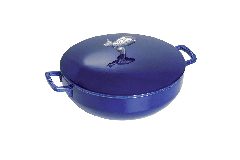 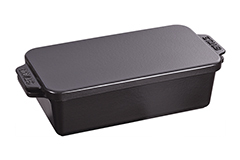 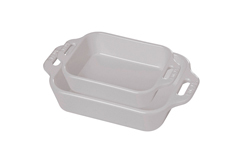 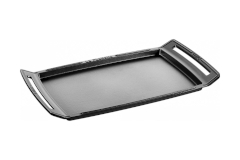 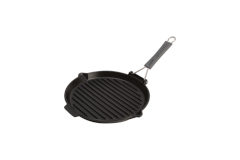 Cast iron heats slowly but retains a constant temperature. 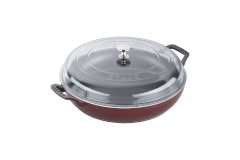 Now, Staub cookware is induction compatible and has a lifetime guarantee!